According to a new report from BMO Bank, women have made huge advances in the business world, but still struggle to reach the top leadership ranks. 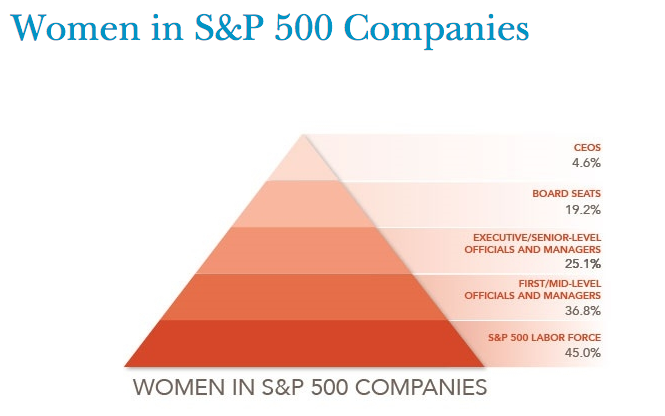 Women now hold more than half of management, professional, and related positions in the U.S., but still fill less than 5% of the top Chief Executive Officer (CEO) positions in the S&P 500 companies forming the backbone of the U.S. corporate world. Women are now the primary breadwinners in more than 40% of U.S. households. They own 30 percent of all private businesses in the U.S. They control 51% of total U.S. wealth, equivalent to $14 trillion. The BMO report notes how women have made tremendous progress, but still are often torn between professional and family responsibilities. Women often find their own financial goals, and professional advancement, compromised by the real-life demands of other family members. The Takeaway: It can be a juggling act to meet your own financial goals in light of personal and family pressures, but professional financial advice and a disciplined strategy can help you stay on target and help resolve some of the family’s most challenging financial dilemmas. Don’t neglect or postpone your own needs to take care of other family members. Just like they say on the airplane, put on your oxygen mask first before helping others.